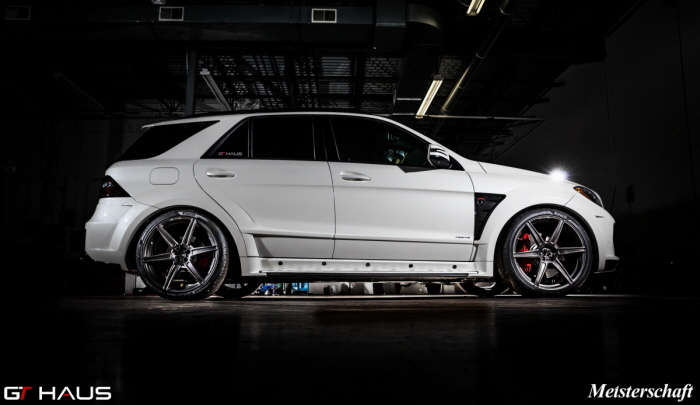 The Mercedes-Benz ML63 AMG is one impressive luxury SUV. Its front and rear fascia provide its aggressive look while the side skirts create a sporty appearance for the vehicle as it extends along the length of the entire vehicle. 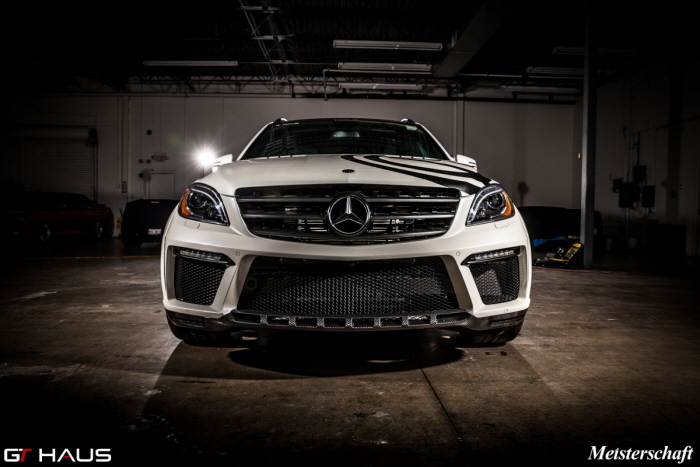 The front end of this luxury SUV flows into unique fenders that are big enough to allow large-sized AMG alloy wheels to be used on it. 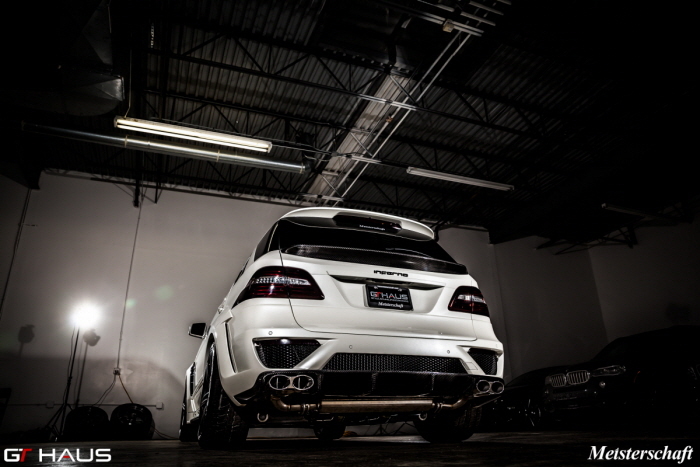 The lower fascia along its back features a distinctive black diffuser where the sports exhaust system with a pair of chrome tailpipes is housed. 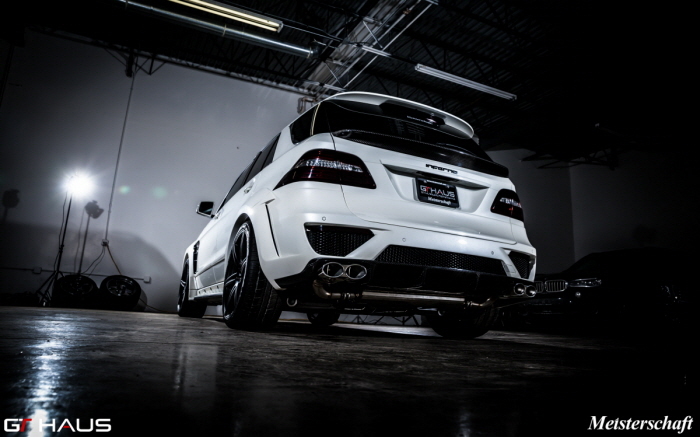 The ML63 AMG also features a 5.5-liter twin-turbo V8 engine with a total power output of 518HP along with 516 lb-ft of torque. 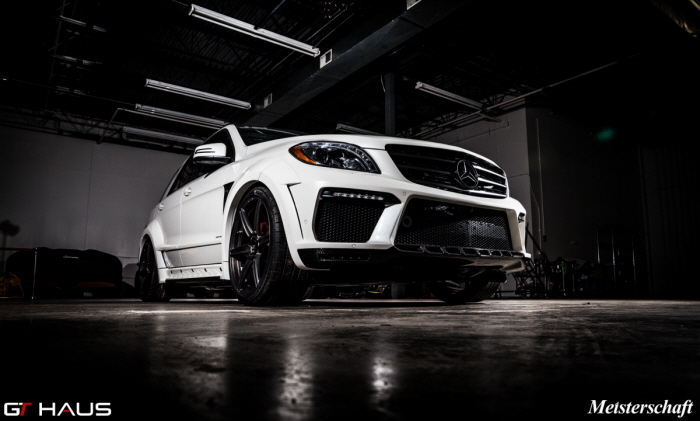 An optional AMG Performance Package increases the power and torque of the SUV to 550HP and 560 lb-ft, respectively. Despite these remarkable features, some people feel they have to upgrade it in order to enhance its appearance. 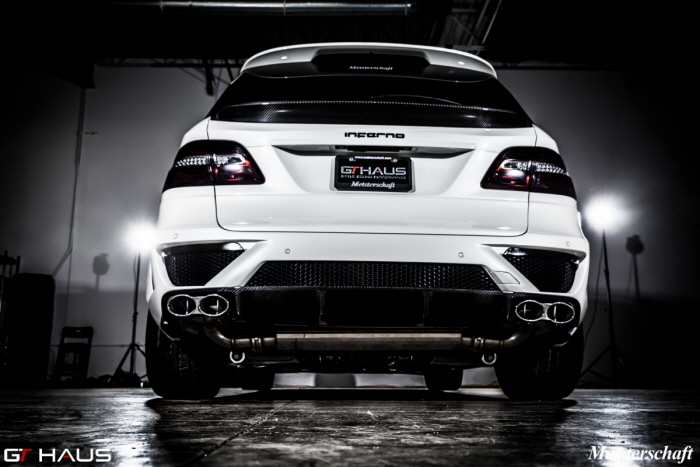 This was the idea of GT Haus, the official North American distributor of Meisterschaft exhaust systems. 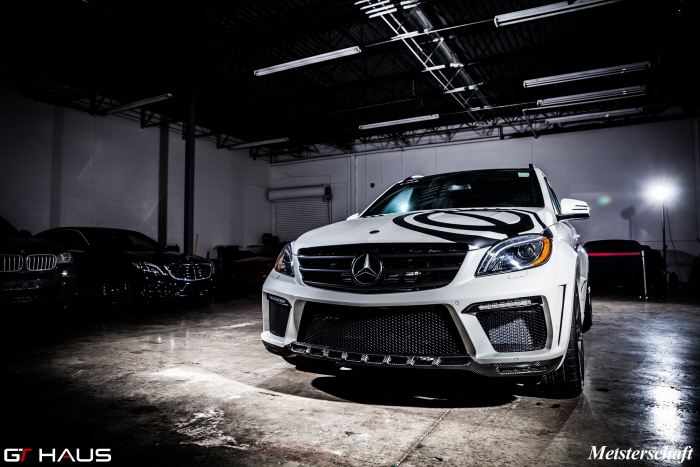 A recent report from gtspirit.com revealed that GT Haus completed its work on a Mercedes-Benz ML63 AMG, increasing its visual appeal to luxury vehicle enthusiasts. 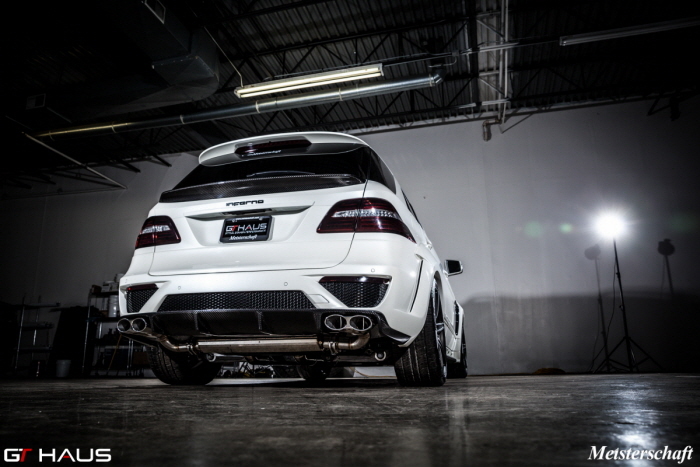 Aside from the customized Meisterschaft exhaust system installed into the ML63 AMG, the SUV was also provided a number of other upgrades to further enhance its appearance. 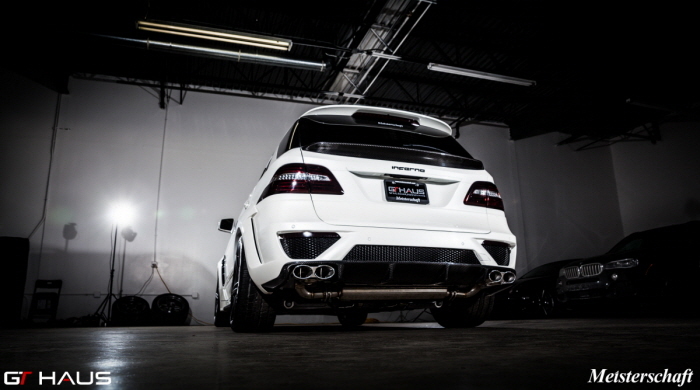 The exhaust was specially designed to reduce the buildup of heat and reduce backpressure. 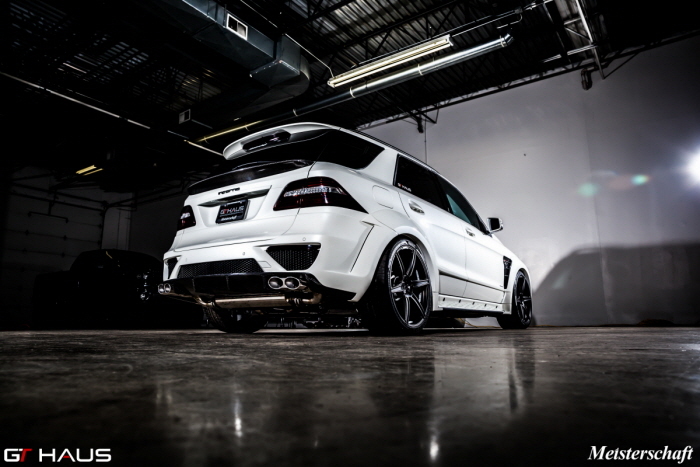 Among the other enhancements provided to the ML63 AMG include a brand-new body kit featuring new front air intakes and grilles, new front splitter, ne roof spoiler, blacked-out grille, extended side skirts, rear bumper and rear diffuser. 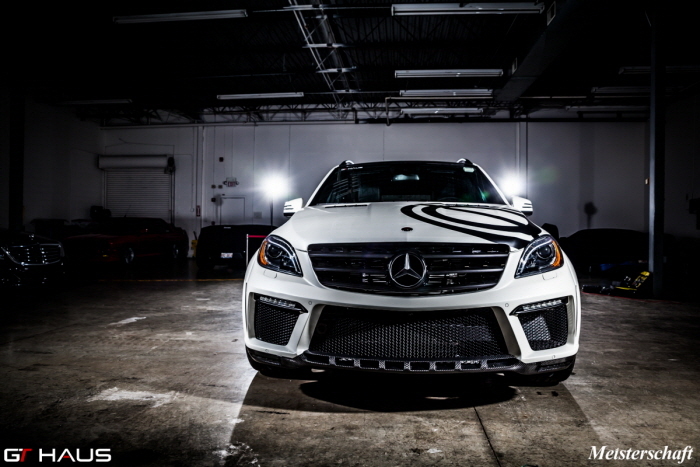 The luxury SUV was also provided tinted taillights along with a set of glossy black wheels. 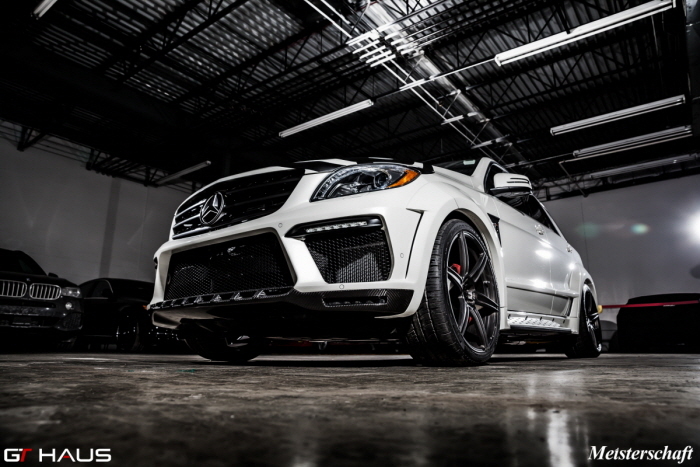 These enhancements were more than enough to turn the already-impressive Mercedes-Benz ML63 AMG into the most aggressive luxury SUV of the luxury vehicle manufacturer from Germany.